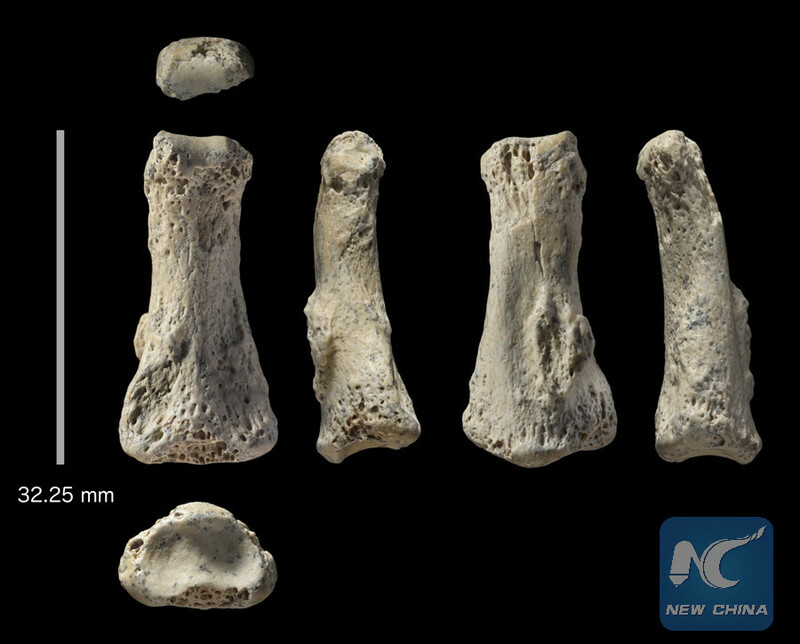 RIYADH, April 10 (Xinhua) -- Saudi Arabia has announced finding a fossil finger bone dated back to 85,000 years in Nefud Desert, Al Arabiya local news reported on Tuesday. The discovery highlights the new approach of scientists who are calling for new understanding of how our species came out of Africa en route to colonizing the world. A joint scientific team has discovered the first sample of ancient human remains in the northwest of Saudi Arabia. The research team included various Saudi organizations, the Max Planck Foundation for Human History, Oxford University, Cambridge University, Australia National, and the University of New South Wales in Australia. The researchers said on Monday that the middle bone of an adult's middle finger found at a site named Al Wusta (middle finger in Arabic) is the oldest Homosapien fossil outside of Africa and the immediately adjacent eastern Mediterranean Levant region, as well as the first ancient human fossil from the Arabian Peninsula. While the Nefud Desert is now a veritable sea of sand, it was hospitable when this individual lived - a grassland teeming with wildlife alongside a freshwater lake. The discovery also shows these people were moving across the interior of the land, not coastlines. Numerous animal fossils were discovered, including hippos, wild cattle, antelopes and ostriches. Bite marks on fossilized bones indicated carnivores lived there, too. Stone tools that hunter-gatherers used also were found.